Mrs. Boaz has a Bachelor of Arts in Elementary Education from the University of Kentucky and a Master’s degree in Education from Georgetown College. Mrs. Boaz has taught kindergarten for 13 years. She spent eleven years in Catholic education at Seton Catholic School, and two years in Fayette County Schools. She is married to Brad and has two children. Mrs. Roberts received a Bachelor of Arts at Ohio University. She received a Master's degree in Early Childhood Education and Early Intervention at the University of Dayton. Mrs. Roberts also teaches Elementary Science Lab and she serves on the Stewardship Committee at CKS. Mrs. Wehrman has a Bachelor of Arts in Elementary Education from the University of Kentucky. She also has a Master's degree in Education from Georgetown University. Prior to teaching at Christ the King, Mrs. Wehrman taught 11 years in the Fayette County Public School system. Mrs. Wehrman serves on the Stewardship Committee. Mrs. Keller has a Bachelor of Arts in elementary education from the University of Kentucky. She also has a Master's degree in Education from Georgetown University with a specialization in reading. Mrs. Keller also serves on the Stewardship Committee at CKS. Mrs. Simms has a Bachelor's degree from the University of Mississippi in Family and Consumer Sciences. She received her teaching certification through Asbury University in 2011 and her Master's degree in Education as a Literacy Specialist in 2014 through the University of the Cumberlands. Prior to teaching at Christ the King, she taught 5 years in the Fayette County Public School system. Mrs. Simms serves on the Environmental Committee. Mrs. Schuette has a Bachelor of Arts in Education from the University of Kentucky. She also has a Master's degree in Education from Georgetown College. 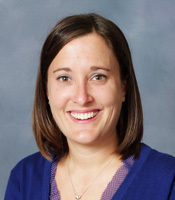 Mrs. Schuette is the Cross Country Coach, director of Morning Care, and head of the Spiritual Life Committee at CKS. After retiring from CKS as a kindergarten teacher in 2016, Mrs. Preston returned in 2017, to serve as an kindergarten assistant. Mrs. Ginnan has a Bachelor of Science degree from the University of Kentucky in Human Environmental Science and an Associate Degree in Dental Hygiene. Mrs. Ginnan worked as a substitute teacher at Christ the King School and another private school in Lexington for several years. She also worked as a preschool assistant at Christ the King prior to becoming a Kindergarten Instructional Assistant. Mrs. Gambrell has a Bachelor of Business Administration from the University of Kentucky in Marketing. Prior to being an Instructional Assistant at Christ the King, Mrs. Gambrell was an assistant teacher at a private school in Lexington for 3 years. Her children have attended CKS since 2011, and she has been a regular classroom volunteer and homeroom parent. Mrs. Koch has a Bachelor of Arts degree from the University of Kentucky in English Education. She spent seven years teaching Honors Freshman English at Lexington Catholic High School before moving to Toronto, Canada. After living abroad for eleven years, Mrs. Koch returned to Lexington and has since been an active parent at CKS.